Ever wondered what happens to wildlife that gets into trouble in our urban and rural communities? 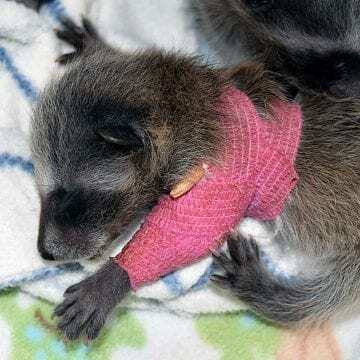 BC SPCA Wild Animal Rehabilitation Centre (Wild ARC) helps raise orphaned wild babies, heal injured wild animals, and treat a range of wildlife illnesses – they’re the one-stop hospital for wild animals in distress! 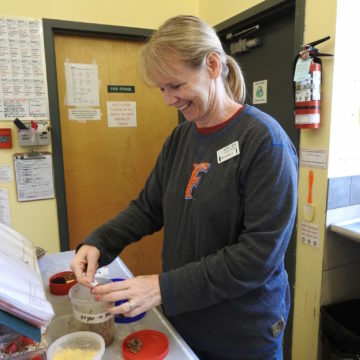 The Wild ARC facility is normally restricted to staff and volunteers as they work to save these wild lives, but there’s one weekend each year when community members are invited behind the scenes to get a glimpse of wildlife rehabilitation in action. Wild ARC saw an astonishing 20 per cent increase in wild patients last year, and expects another busy spring and summer season ahead. This specialized centre is generally closed to the public to give patients the best possible chance to recover and return to the wild. However, during their annual Open House weekend they welcome the public to explore the facility and discover how they help the community’s wild neighbours. Wild ARC’s Open House will take place between noon and 4 p.m. on Saturday April 2 and Sunday April 3 – tour reservations are required at spca.bc.ca/tourwildarc. There is no charge for this family-friendly event, but gifts of food and supplies to help care for the animals are much appreciated and a wish list is provided with registration. To avoid potential stress, no wild patients are available to view, but a live educational raptor will be on-site. 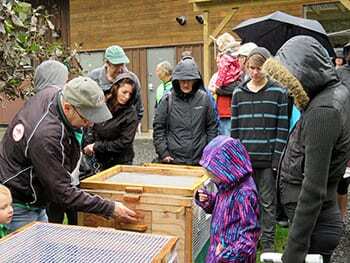 Wild ARC is located at 1020 Malloch Road in Metchosin. Only 1,000 guests can be accommodated during the two-day event, so reserve a spot today with your family and friends!